$23.758 million on 2340 screens. When I heard about 1993’s film version of The Fugitive, I figured this would be just another lame adaptation of an old TV show, and I cringed when I first saw previews for it. I’d been in the bag for Harrison Ford for many years, so when I saw his name attached to a TV series remake, I feared the worst. Such translations have a poor percentage of success, so I thought The Fugitive would just bring another weak attempt to cash in on a dormant franchise. I guess I should've trusted old Harry. Far from being a pathetic rehash of an old program, The Fugitive presented a vital and thrilling update on the cat and mouse chase theme. Director Andrew Davis took a well-worn plot and injected great life and excitement into it. As a result, The Fugitive made a nice piece of change at the box office and also grabbed an Academy Award nomination for Best Picture, something unusual for an action movie of this sort. When someone brutally murders Helen Kimble (Sela Ward), her husband Richard (Ford) becomes the prime suspect. After his arrest and trial, he becomes convicted of the crime and sentenced to death. During a transport from one police facility to another, Dr. Kimble’s fellow inmates attempt an escape. This goes awry and the bus crashes. After this causes a train derailment, Kimble narrowly escapes and finds himself on the run. This brings US Marshal Samuel Gerard (Tommy Lee Jones) onto the case, and he proves to offer a dogged pursuer. Kimble blames his wife’s murder on a one-armed man, so he attempts to prove his innocence while Gerard follows him every step of the way. The Fugitive really had it all, though when I first saw it, I thought it might have blown its wad too early. Probably the best remembered sequence in the film occurs during the train derailment. Like pretty much everyone else, this action segment completely floored me. Unfortunately, it seemed hard to go anywhere from there, and while the rest of the movie worked very well, it just never appeared to equal the train crash scene. That’s why it's always good to watch movies again. Upon subsequent review, the impact of the train crash sequence diluted and the strengths of the remainder of the film became more apparent. 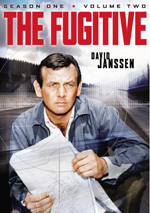 In truth, The Fugitive is probably a little too long and the pursuit seems drawn out just a bit past the point of effectiveness. Still, the movie makes for crackling entertainment, even when the conclusion is no longer in doubt. Much of The Fugitive's continued pleasures emanate from the solid performances of its actors. Tommy Lee Jones won an Oscar for his turn as Gerard, and he deserved it. All at once, Jones provides both a level of intensity and down to earth realism that would escape most actors; he takes over almost every scene in which he appears with this casual but passionate character. That shouldn't denigrate the solid and believable performance from Ford. Kimble's something of a thankless role since he’s essentially reactionary; Gerard and the other pursuers are the only ones who get to stimulate the action, though Kimble starts to turn the tables by the end of the film. Also, Kimble needs to be something of a saint; if the audience ever really questions his innocence, the movie sinks. Still, Ford well with the role. Kimble may not be the flashiest or most memorable character he's portrayed, but he stands as a realistic and likable one. The supporting cast all provides fine work, especially the crew of actors who form Gerard's "posse"; they seem comfortable together and play off each other well. The more I watch The Fugitive, the more I recognize their strengths and just how nicely they blend together. Ultimately, one of the most refreshing aspects of The Fugitive stems from its ending. (Yes, spoilers approach - abandon ship now if you want to avoid them.) Truth and justice prevail, of course, but in a manner unusual among modern films: neither villain dies! Think about action movies over the last twenty years or so and try to determine in how many of them the villain survives; I guarantee that'll be a pretty short list. Add to that the fact that it’s unlikely the villains in The Fugitive could logically have returned for a sequel and the fact that neither Nichols nor the One-Armed Man die at the end continues to surprise me. Sometimes the bad guy might be kept alive just for a return visit in a second film, but that would have stretched believability here. Maybe the prevalence of dead villains is a reflection of society's distrust of the legal system. Filmmakers may fear that audiences will be disappointed with an antagonist who just gets arrested; the viewers may think that the bad guy will get Johnnie Cochran'd out of jail. Then again, maybe people simply like the final justice inherent in a villain's death. Whatever the reason, I nonetheless appreciate the fact that The Fugitive took a different path. 20 years after its theatrical release, The Fugitive remains an oddity. Though based on an old TV show, it was neither campy nor silly, and it actually worked extremely well on its own without turning into a reflection of the original series. Director Andrew Davis maintains a fairly solid pace throughout its 130 minutes and it continues to be an exciting and compelling program. 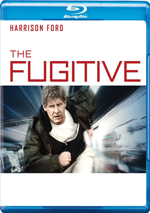 The Fugitive appears in an aspect ratio of approximately 1.85:1 on this Blu-Ray Disc. Though not an impressive presentation, the transfer seemed to represent the original photography fairly well. 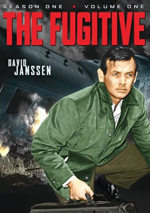 Which can be construed as “faint praise” to some degree, for Fugitive was never a particularly attractive movie. Some of that stemmed from the gritty visual style chosen by its director and some of that came from the lackluster film stock used. Whatever the cause, it ended up as a decent but unexciting image. But not a bad one by any stretch of the imagination; as much as I might wish the picture looked tighter and more vivid, it still remained more than watchable. Sharpness was generally good. The film stock tended to give the movie a bit of a soft feel, but not to the extent of blurriness; the image may not have boasted tremendous definition, but it showed adequate and better delineation. I noticed no issues with jagged edges or shimmering, and edge haloes remained absent. Grain seemed natural but not heavy, and print flaws failed to mar the presentation. Another factor that reflected visual design and film stock, colors looked low-key. The hues went with an earthy feel, so don’t expect vivid hues. Nonetheless, the semi-“olive drab” palette remained fine, with colors that represented the source. Blacks were reasonably deep, and shadows portrayed pretty good clarity. This was never an impressive-looking flick, but it reflected the original film and deserved a “B”. While the DTS-HD MA 5.1 soundtrack favored the forward channels, it still offered an engaging and active experience. The front speakers received a strong workout as they featured a variety of unique elements from all three channels. Stereo imaging for the score seemed solid, as the instrumentation was clearly defined and spread, while the effects created a realistic and involving atmosphere. At virtually all times, I heard vivid and appropriately located sound from the forward speakers, and the audio blended together in a natural and fairly seamless manner. Surround usage appeared less involving, but the rears kicked in with useful sound at times. For the most part, their activity tended toward general atmosphere and also some reinforcement of the score; I didn’t detect a tremendous amount of information that seemed to be specific to the surrounds. However, they did provide appropriate action during logical scenes. Most of those involved vehicles. During sequences that involved trains - whether freight or elevated - or those with helicopters, the rears became fairly involved in the mix, and they showed decent split surround effects as well. Check out the scene where the cops bust into Kimble’s basement apartment, for example; that one boasted fun use of the back speakers to showcase footsteps. Audio quality appeared to be generally solid. On a few occasions, dialogue showed modest signs of edginess, but these were infrequent. For the most part, speech came across as reasonably natural and distinct, and the lines lacked any concerns related to intelligibility. Music seemed pretty full and rich, but effects showed their age to a moderate degree, as some louder components – like the train crash – showed mild distortion. The track also had a bit of a stiff, boxy feel that meant it wasn’t quite as natural as I’d like. Still, the good far outweighed the bad, and given the movie’s age, I thought it merited a “B+” for audio. When I last reviewed The Fugitive, I did so for the 2001 Special Edition DVD. This means I can’t compare to the original Blu-ray from 2006, but I’d be shocked to learn that the 2013 BD didn’t represent a notable step up in quality. For one, the 2006 disc only offered Dolby Digital audio, whereas the 2013 version gave us a lossless DTS-HD MA track. In addition, the 2006 release got much criticism for its flawed visuals. Perusing those reviews, I thought some of the knocks related to the film’s visual style more than anything else, but I got the impression the 2006 disc came from a poor transfer. I feel pretty confident that the 2013 Blu-ray gives us the stronger reproduction of the movie. The Blu-ray mixes old and new extras, and these launch with a running audio commentary from director Andrew Davis and star Tommy Lee Davis. Though the two occasionally interact during the track, they were recorded in two different locations; Davis was in California while Jones sat in Oregon. Though they occasionally acknowledge each other, I suspect most of the time their comments come from separate sessions; the remarks often don’t really mesh well. Davis dominates this screen-specific piece, as Jones rarely offers any remarks. Toward the end, Jones tosses in some interesting insights about the way he felt during the filming of the climax, but otherwise his statements remain mostly banal. Here are a few examples: “I like this part”; “These are really cool titles”; “They dye the river green on St. Patrick’s Day”. These aren’t minor aspects of Jones’ side of the track; they represent the majority of his infrequent notes. Although Davis talks a lot more than Jones, he doesn’t offer a great deal that seems incisive or interesting. For the most part, Davis tends to relate the names of various cast members, tell us where scenes were shot, or narrate the story. On occasion, Davis does add some useful tidbits. For example, we learn that Richard Jordan was originally supposed to play Jeroen Krabbe’s part, and he also discusses a few deleted scenes; it was especially good to hear more about the ways in which Julianne Moore’s character was part of the original script. Regrettably, moments of that sort remain rare, and most of the commentary seems slow-paced and dull. This makes it a serious disappointment, as we learn very little about the film during this tedious track. From there we hit some featurettes. Found on the DVD from 2001, Derailed: Anatomy of a Train Wreck tells us a little more about the movie’s most famous segment. Director Andrew Davis, star Harrison Ford, producer Arnold Kopelson and co-producer Peter MacGregor-Scott all participate in this eight-minute and 55-second show. As with the commentary, this piece disappoints. It seems rather glossy and insubstantial, and we don’t learn many hard facts about the shoot. Yes, the basics of the production receive notice, but I simply don’t feel like I know much more about the way the scene was created. The piece remains watchable but it lacks depth. Similar sentiments apply to the second circa 2001 featurette, On the Run With The Fugitive. This 23-minute, six-second program features the same interview subjects we saw during “Derailed”, though there’s one small twist; Ford also appears via some 1993 clips. Otherwise, the formula is the same, as the show compiles interviews, movie snippets, and shots from the set. It also fails to deliver much substantial information. Much of the program sticks to the superficial as we hear the various participants praise one another. Quite a lot of time passes before anyone really starts to talk about the movie itself, and when that finally occurs, we hear some decent details about the production. For example, we learn a few nice tidbits about the manner in which the St. Patrick’s Day parade was filmed. However, this is too little, too late, and the program soon ends. While “On the Run” isn’t a bad featurette, it doesn’t provide a particularly strong look at the movie. In addition to the film’s trailer, we get a circa 2001 Introduction from Davis, Jones and Ford. In this one-minute, 52-second clip, Ford’s remarks come from the same new interviews that appear during the documentaries; he essentially tells us that The Fugitive was a great experience. As for Jones and Davis, the “Introduction” simply plays the first few moments of their commentary; we watch Davis as he chats on the phone with Jones. It’s a waste of time. Two new features follow. 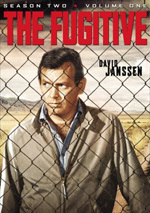 The Thrill of the Chase lasts 28 minutes, 21 seconds and offers material from Davis, Ford, Jones, Kopelson, MacGregor-Scott, film critic Kenneth Turan, editor Don Brochu, FBI and the Movies author Bob Herzberg, and actors Joe Pantoliano and Jane Lynch. We get notes about the project’s development and Ford’s casting, story, characters, and performances, editing and camerawork, music, and the film’s reception. Though created in 2013, “Thrill” feels like a sibling to the fairly superficial pieces from 2001. That doesn’t make it a bad show, though; it’s just another moderate disappointment. Still, it does include some decent details along with the praise and happy talk. I like Pantoliano’s tale about his attempts to keep his character alive for a sequel, and it’s great to see Lynch; a complete unknown 20 years ago, it's cool to hear her discuss her work on the film. Nonetheless, this is another watchable but insubstantial piece. Whereas the movie did little to “nod” at specifics from the 1960s series, this pilot clearly knows it exists in a world where most viewers will have seen the 1993 film. That means it toys with expectations to a degree and also reflects aspects of the flick. For instance, we get a big action scene for Kimble’s escape; it doesn’t duplicate the train wreck from the movie, but it plays with our memories of the earlier sequence. The pilot gives us differences as well. For instance, Gerard involves himself in the case much earlier; rather than wait until Kimble’s escape to become a factor, the pilot makes Gerard the lead investigator in the crime, so he’s part of Kimble’s saga from the get-go. While it gives us conscious reflections of the movie, the pilot shows the original series’ narrative structure in that it presents a Kimble who gets involved in the lives of strangers and becomes a helping figure. That makes sense; unlike the movie, a series couldn’t focus solely on the Kimble/Gerard cat and mouse/Kimble’s pursuit of the One-Armed Man. To succeed in the long haul, a show needs a mix of varying characters/situations. I don’t know if audiences liked that in 2000, and I don’t know if subsequent episodes went much of anywhere. The pilot seems like a pretty decent reboot, though, as it gives us a good mix of old and new influences. It’s definitely a fun extra to find on the Blu-ray. After 20 years, The Fugitive remains a terrific thrill ride. Buoyed by solid pacing and excellent acting, the adventure gives us a captivating action experience. The Blu-ray provides generally positive picture and audio along with a mix of decent supplements. Though I wish we’d get a more informative/less fluffy batch of bonus materials – and a more interesting commentary – I still feel pretty pleased with this Blu-ray.